Introducing Staxx™ – Modularity. Flexibility. Simplicity. Staxx™ is easy to install and reconfigure, more monitors can be added by simply adding more of the same parts. 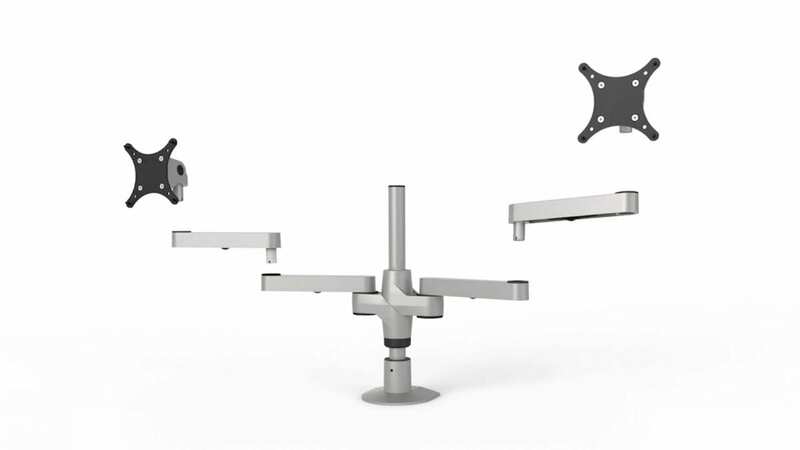 Staxx™ is capable of mounting three monitors, up to 30″ wide, side-by-side. Flexible extension arms allow you to position the monitors for your perfect viewing angle. 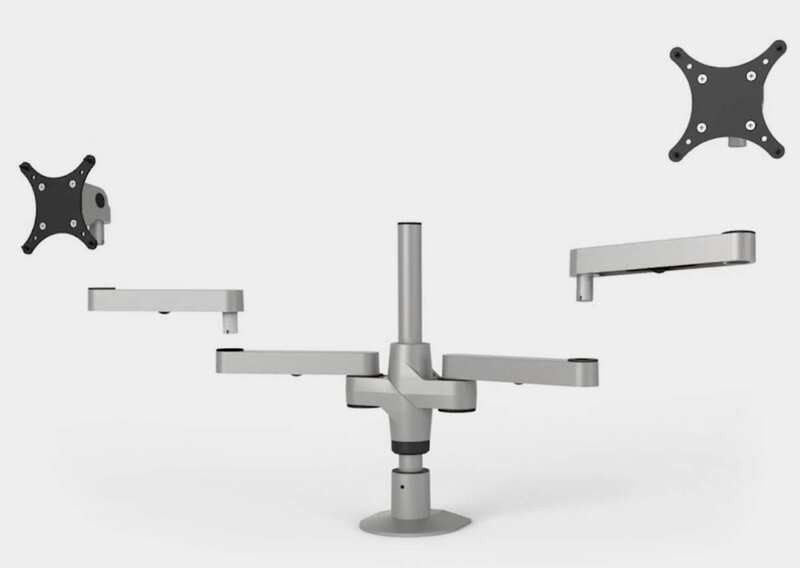 Designed for modularity, Staxx™ can accommodate up to six monitors using a single mount. Workplace configurations are continually changing and evolving. Staxx makes it easy to adapt to your changing needs with little time or effort. Staxx allows you to work and feel better throughout the day by making it easy to create your perfect viewing position. Independent monitor tilt, pivot and rotation gives you control to work in comfort.